"Why Dreams Matter--More Than Ever"
What if our lives were guided by our dreams? That the question I explore in this newsletter. I'll also be exploring that question in a day-long workshop, "Understanding Your Dreams," that I'm offering on Saturday, May 13th; details are below. Scroll down to "Resources For A Life Of Depth And Meaning" and you'll find gems that include a poem, a book, a quote, a movie, and another of my photos. May all of this, and the arrival of Spring, bring you renewal and hope in these difficult times. The dreams we have each night connect us with our deepest, wisest, best selves—with our unconscious, with our spirit, with “god,” or with the “gods and goddesses.” They show us what our waking, ego selves are missing, and they show us the way forward. Yet most people pay little or no attention to their dreams. They say they don’t have dreams, can’t remember them, or “forget” to write them down. Or they remember them, but dismiss them as meaningless. Or they write down their dreams, and are genuinely curious about them, but they can’t seem to figure out what they mean. Dreams can be perplexing for at least two reasons. The first is that dreams are in language that has become foreign to most of us: the language of symbols. With a few, rare exceptions, every part of a dream—every person, place, thing, color, number, animal, and so on—is a symbolic representation of a part of ourselves. And those symbols hold a unique meaning for each individual—the color “green” may symbolize “money” to one person, “nature” to another, “naïveté” to a third, and “envy” to a fourth. So looking up one’s dream symbols in a “dream dictionary” misses the point entirely: each symbol means something different to each person at each moment in time. Another reason dreams are puzzling is that they are about our unconscious, about what we don’t yet know, what we’re not yet aware of. Ask someone “What are you unconscious about?” and then watch the puzzled look on their face as they begin to get that it’s a trick question: we are unconscious about our unconscious; we can’t see what we can’t see. 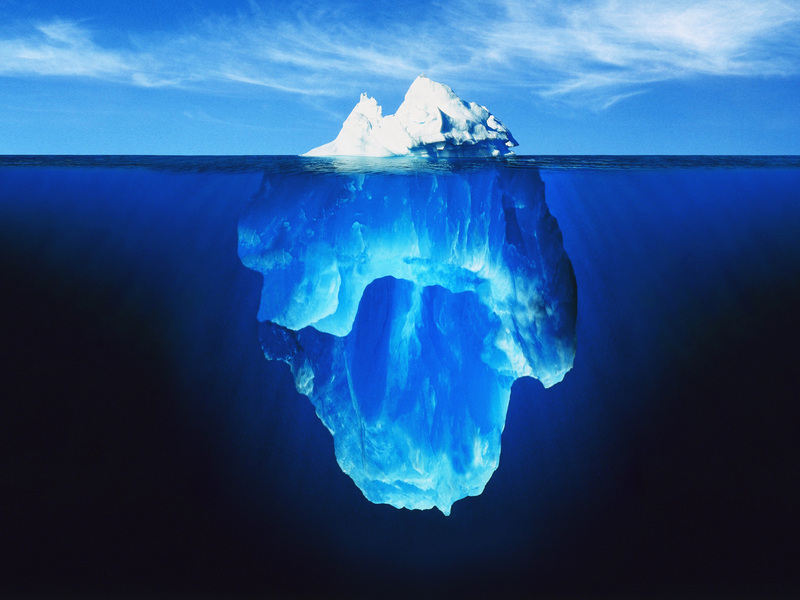 The part of us that thinks we can see is our “ego”—and the ego is like the tip of the iceberg. Just as the vast majority of an iceberg lies below the surface, the vast majority of our beliefs, desires, and choices come from our un-conscious. That’s why dreams are so important. They show us what’s below the surface. They make the unconscious…conscious. They make the invisible…visible. They make the elusive…accessible. They show us how our current attitudes and behaviors are holding us back, and they show us how to move forward in ways that are authentic, empowering, and life-giving. Why do dreams matter more than ever? What if we each did this? Those individual streams of counsel, arising from our deepest, best selves, would flow into an ocean of collective wisdom that would help us transform the world for the better. Jung once wrote “We do not become enlightened by imagining figures of light, but by making the darkness conscious.” He meant that we must bring the ‘darkness’ of our unconscious desires, motivations, and beliefs into the light of consciousness. And dreams help us do that. Dreams make a difference. I’ve seen it regularly in my 24 years of clinical practice: clients go from being depressed, anxious, and stuck to being joyful, relaxed, and energized because of insights and actions that arose from working with their dreams. There are many ways to get help in understanding our dreams. We can share them with a spouse or partner, or with a trusted friend or family member. We can form a “dream group” and witness each other’s dreams over time. We can commit to regular sessions with a psychotherapist who has experience working with dreams. There’s an old saying in the Talmud: “An unexamined dream is like an unopened letter from God.” Imagine what our lives will be like, what the world will be like, when we open those letters, ‘read’ them carefully, and then follow their wise counsel. (poem): "The Trail Is Not A Trail"(by Gary Snyder). (book): Inner Work: Using Dreams And Active Imagination For Personal Growth (by Robert A. Johnson). (movie): "This Is Where I Leave You." When their father dies, four grown siblings are called back home by their mother--ostensibly to grieve, but ultimately so that they can, each in their own way, finally grow up. 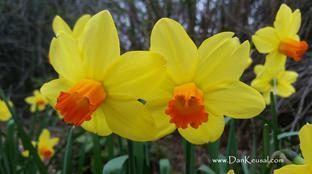 (photo): "Daffodils" (by Dan Keusal). Click on the photo to read more about it, and to download a copy for your personal use and enjoyment.